Levi McCachen has performed at Just For Laughs NorthWest, the Pemberton Music Festival, and is the winner of the CFOX Comedy Competition. 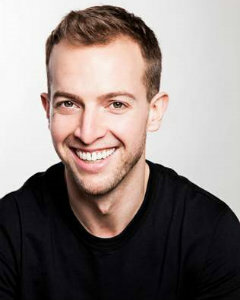 He’s opened for the BBC’s Russell Howard, Saturday Night Live’s Alex Moffat and Harland Williams. His material spans from the perils of modern dating, to generational differences. Whatever the topic Levi’s unique perspective always leaves the audience laughing.